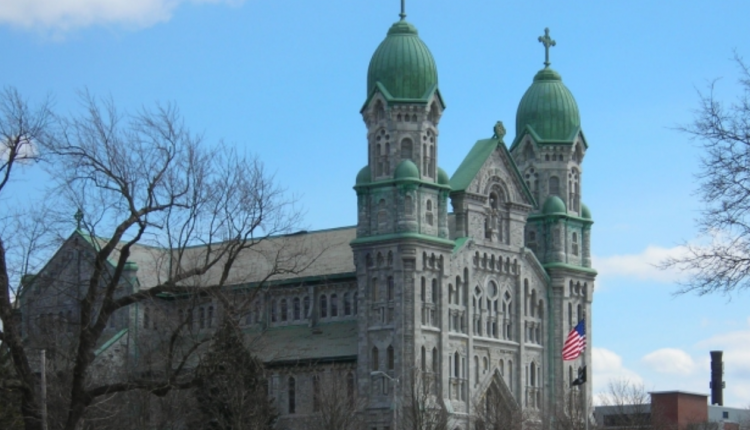 St. Anne's Church and Shrine has served the Catholic community of Fall River, MA since 1906. The main church was closed in 2015 when some plaster fell during mass. Since then, parishioners have attended services in the church basement while no effort was made to repair and re-open the main church. On November 25th, 2018 the last mass was held at the church after the Bishop of the Fall River Diocese announced a decree to permanently close the parish. An architect's assessment estimates that $2- 5 million dollars is required to re-open the church with up to $13 million dollars needed for complete rehabilitation. There has been minimal effort made to create a long term plan to save this iconic masterpiece. Built with the blood, sweat and tears of nearly penniless immigrants, this church is a monument of undeniable historic, architectural and artistic importance to many. On the National Register of Historic Places since 1983, the spiritual significance, magnificent beauty and unparalleled workmanship of this edifice is on par with the most iconic cathedrals in Europe. Notably, numerous miracles have been performed at St. Anne's Shrine and the founding clergy are entombed in a crypt within the church. This holy place has served as a spiritual mecca for thousands of religious pilgrims for 112 years. Out of reverence to the faithful who possessed the fortitude, generosity and vision to build this spiritual monument over a century ago, this church should not be abandoned and left to deteriorate. St. Anne’s Church is a monument to be appreciated, respected and treasured for generations to come. In an effort to challenge the Bishop's decree and save the church, a group of concerned individuals have formed St. Anne's Preservation Society. We hope you will show your support for efforts to rehabilitate and save St. Anne's Church and Shrine by signing this petition. Thank you. WE, THE UNDERSIGNED, implore the Catholic Diocese of Fall River and the Roman Catholic Church to support the rehabilitation and preservation of historic St. Anne’s Church and Shrine. The Save St. Anne's Church and Shrine petition to Roman Catholic Church, Diocese of Fall River, MA was written by Susan Martin and is in the category Religion at GoPetition.